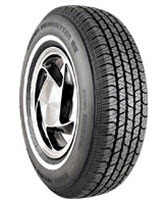 Cooper Trendsetter SE tires are designed to offer all-season drivability at a price point that will satisfy any budget. You won’t find any of the high performance features on this model because that is not what it is designed for. The tire itself has black sidewall styling with a tread design that provides both dry and wet pavement performance. Inside the tire are steel belts with polyester cord plies that give the Trendsetter more durability, which is why it comes with a 40,000 mile treadlife warranty. Overall, the Cooper Trendsetter is a good choice for anyone looking for an affordable to and from work type of all-season tire. It’s value priced for those looking to save money on new tires, and offers a good treadlife. Prices on Cooper Trendsetter tires range from $81 for the 15 inch series to approximately $98 for the 16 inch series models. Who Are Cooper Trendsetter SE Tires Designed For? Cooper has developed the Trendsetter SE as a low cost entry level all-season tire for drivers of all types of coupes, sedans and minivans who want a year round radial tire that is friendly on the budget. Cooper Tires backs the Trendsetter SE with a 40,000 mile treadlife warranty. There is also a first 2/32 inch guarantee on the tire’s uniformity. Materials and workmanship are warranted for 5 years. Cooper also includes a 45 day road test guarantee. If you do not like the tire you can exchange it for another Cooper model.